DMT is a powerful hallucinogenic drug which is illegal in the United States. Although there is debate on whether DMT is addictive, the drug presents dangerous physical and psychological risks and frequent users can develop a dependency. DMT is an abbreviation for N,N-Dimethyltryptamine, a chemical which develops naturally in the brain, as well as in plants indigenous to Central and South America. 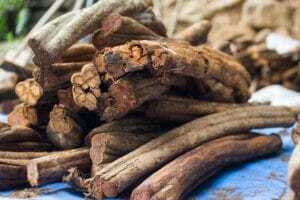 As a drug, DMT typically takes the form of white powder which may be smoked with a pipe or brewed into hallucinogenic drinks like Ayahuasca and yagé. DMT users also sometimes inject the drug, although this is less common. DMT is sometimes called “fantasia” or “dimitri,” and it is one of the less-commonly used drugs in the United States and in the world. Most people who try DMT have already experimented with other hallucinogens. DMT stimulates the production of serotonin, a neurotransmitter which causes feelings of happiness. DMT causes users to experience intense euphoria, hallucinations, and new perceptions of reality which users often characterize as life-changing. A DMT trip can begin instantly and generally lasts less than an hour when users smoke the drug. Users who drink DMT as a brew often begin to experience hallucinations which last for four to six hours after about thirty minutes. Some users report mild lingering effects that last for several days. On the physiological level, DMT often causes adverse side effects like increased heart rate and hypertension, as well as nausea and dizziness. Despite the fact that many users promote the “benefits” of DMT, the drug is not safe. In fact, DMT can seriously harm a person’s physical health and mental well-being. Since DMT causes the brain to release serotonin, high doses of the drug may send the body into a serotonin overdose which may provoke seizures, obstruct breathing, and induce a coma. DMT can cause a person to die or greatly suffer. While some DMT users have had positive psychological experiences with the drug, others have suffered DMT trips which they describe as confusing and terrifying. In fact, the psychological effects of DMT can be traumatizing, especially for people who are living with mental illness. Since DMT is not a drug for which users typically develop a tolerance, experts debate whether DMT is chemically addictive. Nevertheless, the limited research which is available on DMT suggests that users can develop cravings which may culminate in psychological dependency. 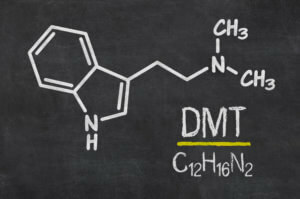 DMT has been a Schedule 1 controlled substance since 1971. The United States government considers DMT to have no legitimate medical purpose and imposes heavy fines and decades in prison as punishment for the possession, manufacture, and sale of DMT. However, DMT is part of the rituals and traditions of several indigenous South American religions. In 2006, the Supreme Court ruled that the federal government cannot prevent the practitioners of religions which consider DMT to be sacred from using the drug as part of their religious expression. Nevertheless, DMT remains illegal for the vast majority of Americans. Anyone who is using DMT is risking their life and liberty. If you or someone you know is using DMT, contact a dedicated treatment professional today to learn more about how to begin recovery from substance abuse. Nathan Yerby is studying for a Bachelor’s in Political Science and Public Administration at the University of Central Florida. Nathan wants to help people who are struggling with addiction find the treatment that they need.